Doutzen Kroes: Model Diet. Weight Loss Diet. 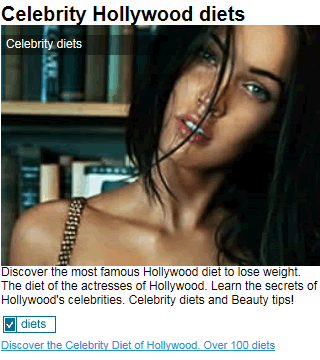 Celebrity diet, Exercises, Style and Beauty secrets! Place of birth: Eastermar, Holland. Doutzen Kroes is a thin and very pretty model. One of the essential requirements of the company Victoria's Secret. In the campaign for the fragance “Eternity” by Calvin Klein, she replaced the actress Scarlett Johansson. Right picture: she is practicing Yoga. Doutzen Kroes explained that it was no good just cutting out food from your diet and starving yourself if you wanted to look good on the fashion runway. 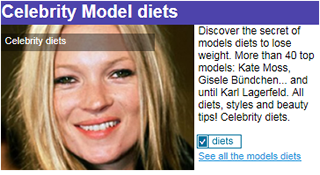 The model confesses to eat small quantities of balanced food throughout the day, based on soup and vegetables cooked without fat. Doutzen Kroes explains that "the bright lights and zoom lenses are merciless and therefore you need to be toned and in good physical shape to look perfect in the lingerie". 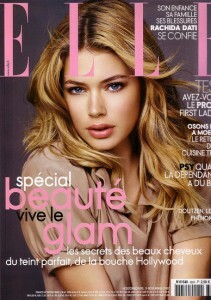 Out of the fashion runway, Doutzen Kroes confesses she loves to ice skate. Doutzen Kroes uses the services of a personal trainer (3 times a week). She essentially works muscles and toning the thighs. The model explains that "Many women who are a little bit overweight don't do workouts using weights because they say that they don’t want to end up with big muscles. However the most effective way to lose the last few inches of fat off the body is to tone and strengthen the muscles. Not only will you be burning off more calories every day with this extra muscle but you will be standing more confidently and you will feel stronger. In any case you can always stop doing weight workouts if you think you are becoming too muscular." The model recommend to "shape your lip along the natural line outside, and paint them with light color or bright. You can also correct the shape of your lips with a profiler, but with light touches. Don't forget that your lips has to look naturals". Doutzen Kroes represents the perfect California Style: pretty, fresh and healthy. This is her secret formula: firm body, silky blonde and sunny face. Earlier in her career, the fashion brand Gucci rejected Doutzen Kroes in a casting because she hadn't the usual measurements of the Italian brand. Since then, Doutzen Kroes says: "I prefer the Versace collection, is really beautiful and feminine". Doutzen Kroes' pictures at the beginning of her career. Sits strengths to succeed: beautiful lips, crystal blue eyes and bright face. She is a successful model all over the world.